Some companies are not smiling when it gets to being on top of the game. 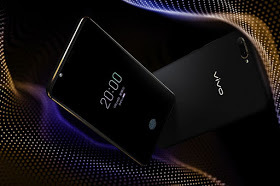 Over the years, company like Samsung and Apple have been working on having a mobile phone with finger print in-built to the display and today Vivo have finally done. 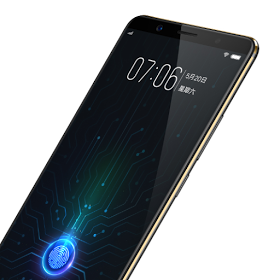 The company is a major Chinese smartphone brand owned by the same company behind Oppo and OnePlus, has announced the X20 Plus UD, the first ever smartphone to ship with the technology. The X20 Plus UD is the world's first smartphone with an in-display fingerprint sensor, and it's now up for pre-order in China. 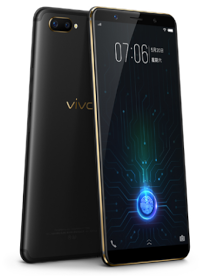 Vivo X20 Plus UD comes with support for dual-SIM (Nano) and runs on Android 7.1 Nougat out of the box, features a 6.43-inch AMOLED display with full-HD+ (1080x2160 pixels) resolution and 18:9 aspect ratio. The handset is powered by a Qualcomm Snapdragon 660 SoC that includes four cores clocked at 2.2GHz and another four cores clocked at 1.8GHz, paired with 4GB of RAM and 128GB onboard storage that is expandable via microSD card (up to 256GB). The Vivo X20 Plus UD sports a dual camera setup on the back with a 12-megapixel primary sensor that comes with an f/1.8 aperture and a 5-megapixel secondary sensor. A 12-megapixel camera sensor is featured on the front with an f/2.0 aperture lens that also enables proprietary features such as face wake. The phone will officially go on sale February 1 st priced at $565 USD. Tell us what you think about this cell phone via the comment box.